What a great morning – with great weather too. Dolores and I headed over the the Katy Trail early this morning and she rode her bike while I ran my 17 mile long run. No dodging cars and uneven sidewalks/pavement too. Also, the gravel soft surface was a nicer landing for my feet. I started out at a 12 minute pace and felt really good – swallowed a bug at mile #2 which was a reminder for me to breathe in through my nose and out through my mouth. I drank a bottle of sports drink before the run and downed a “Power Pak” just before we started out. 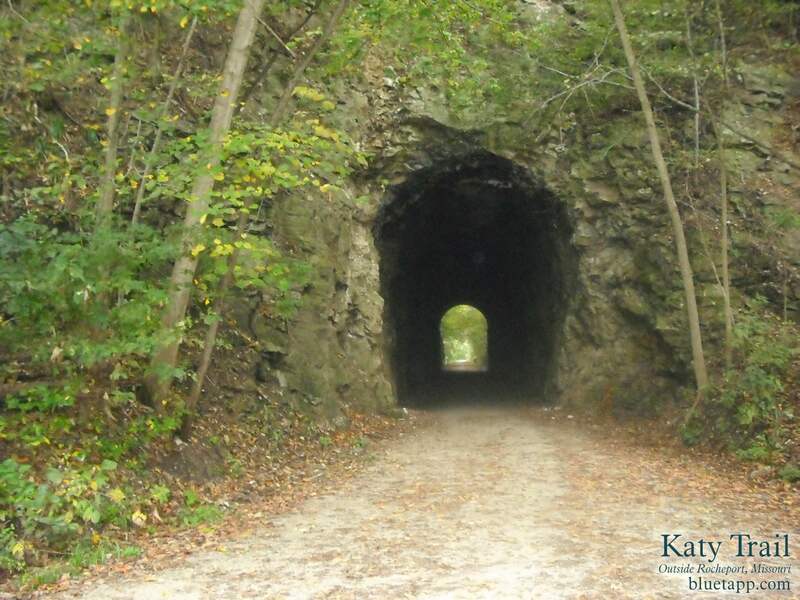 Here are some pictures I found online of the Katy Trail. I took along my Camelbak too. I think I may use it for the marathon. No places to stop for water along the way on the trail. It worked great. I ate Power Packs on miles 4, 8 and 12. Then had beef jerky on mile 7 and 13. Emptied a bottle of sport drink into my Camelbak at mile 9 and ate an apple as we started on a short (3 mile) walk after the run. Lots of water and a ham sandwich post run. 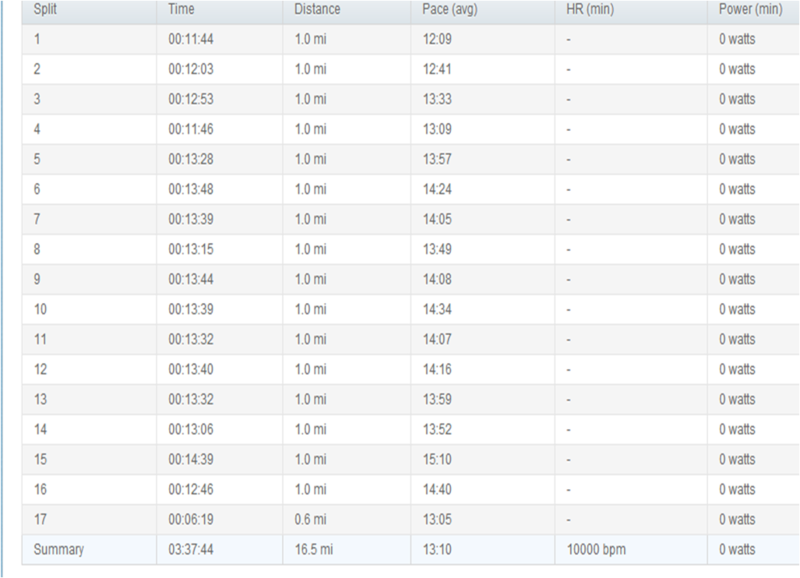 It didn’t get too bad until after mile 13. That’s when it was a real struggle to keep going. My feet were sore and my right leg ached. I didn’t stop to walk any of the 17 miles either. It really helped having Dolores along. She would ride ahead and wait for me. It gave me motivation to not drift which would cause a slower pace. I just had some Chinese food (lots of rice) for dinner. Great! With the additional walk on top of the run, I burned 2,000 calories! This entry was posted in Diet, Fitness, running, Training. Tagged Beef, Camelbak, Dolores, Food, Jerky, Katy Trail, Katy Trail State Park, Kijiji, Long run and short run, Meat, Mile, Power Pack, Shopping, Sports drink. What an inspiration you are! 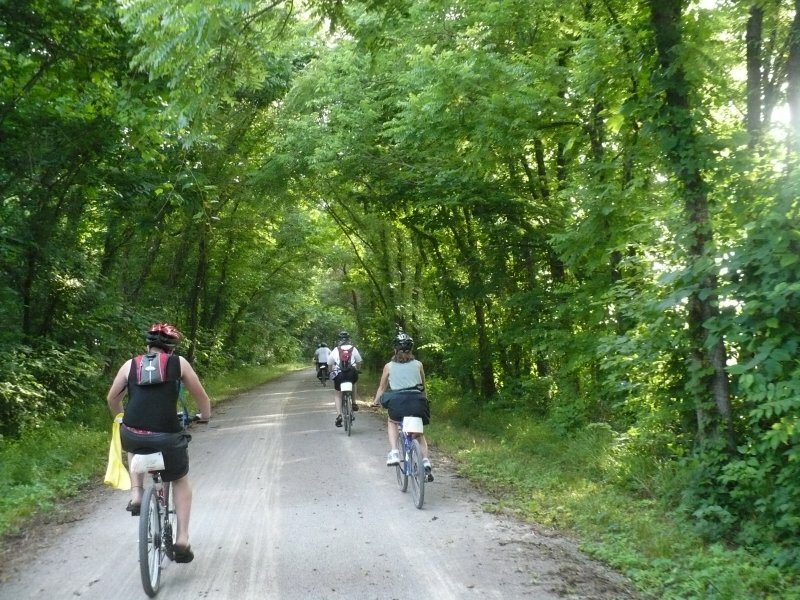 I really enjoyed the Katy trail today riding my bike while you ran. Even the other younger male bikers were impressed that you was running such a long distance! They all said no way they could do it. They would stick to biking. I have to admit that’s the only way I could accompany her along the trail. I did feel a little guilty riding ahead and stopping to relax and wait for you and you then you never stopped! I had to laugh at one point i was watching her run and about 20 yards behind her a deer ran acrossethe trail. Those deer really like you. Awesome job Anne! Hope to do it again soon. I’m ready to do it again when you are! Thanks for going with me Dolores – it really helped a lot. That’s funny about that deer. 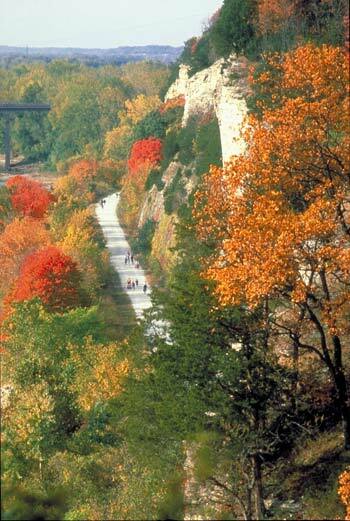 Next Saturday is 18 mile run – Let me know if you want to go back out to the Katy Trail with me for that one. Thanks again for giving up your morning and riding with me. Unbelievable! You are amazing Anne!! !